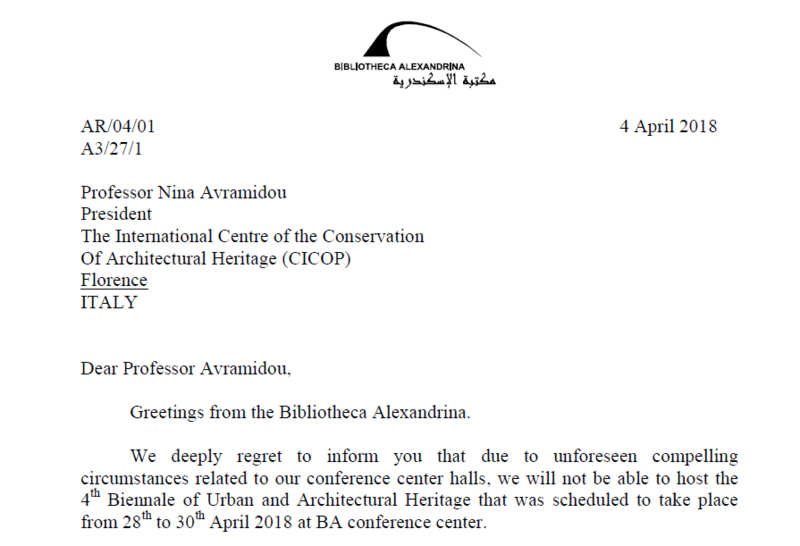 All participants in the BRAU4 Biennial of Restoration in Alexandria please be informed that the venue has been modified due to sudden unforeseen compelling unavailability of Bibliotheca Alexandrina conference center halls. We apologize for the inconvenience and we look forward to seeing you at the new venue hosting the event. Museum of Fine Arts, Alexandria. Several cultural events about the city heritage, lasting eleven days long, have been organized in different locations of Alexandria city, in cooperation with universities, schools, government organizations, non-government organization and cultural centers. Such events range from urban projections to art exhibitions, from artistic performances to debate forums, all open and aimed to the public. The purpose of these activities is to bring out the architectural and urban local heritage and raise public awareness to its protection. “Pedestrian project for SAAD ZAGHLOUL square” urban restoration project in cooperation with the Urban Planning Sector of Alexandria Governorate. Photographic exhibition for the historic location and building of Alexandria city. In collaboration with Atelier Alexandria. Painting exhibition “Shadow of the city“. In collaboration with Fine Arts Faculty, Painting and graphic Department, Alexandria University. Painting exhibition of murals design. In collaboration with Fine Arts Faculty, Painting and graphic Department, Alexandria University. Architecture exhibition of graduate and postgraduate projects in Cultural Heritage sector. In collaboration with all participating Universities. Sketching exhibition of Alexandria heritage building. By ANPIEMED cultural foundation. Photographic exhibition of Heritage photos of the city in the last two centuries. By ANPIEMED cultural foundation. Archeological exhibition of graduate and post graduate projects. In collaboration with Archeological Roman & Hellenistic study Department, Alexandria University. Street exhibition “Monmarte Alexandria” in square Adah, where there will be paintings, photo, and music. Educational photographic workshops of historic location and building in Alexandria city. In collaboration with ADASAA photographic club. Educational sketching workshops of heritage building in Alexandria city. By ANPIEMED cultural foundation. 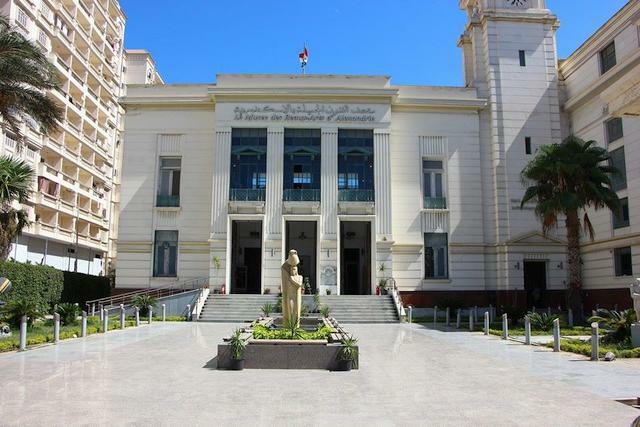 Educational Archaeological workshops “Current archaeological discoveries in Alexandria“. In collaboration with Archaeological Society in Alexandria. Educational Architectural workshops of Heritage Areas in Alexandria city, issued 2017 Guide. In collaboration with Fine Arts Faculty, Alexandria University and National Organization for Urban Harmony. Educational Architectural workshops about “Understanding Resilience in Mediterranean Cities“. In collaboration with Technology & Maritime Academy, Architectural Department. Educational photographic workshops of hide doors of the city. By ANPIEMED Cultural Foundation. Art competition in collaboration with Sculpture Department, Fine Arts Faculty and Atelier Alexandria, to design a decoration project for SAAD ZAGHLOUL & SAFEYA ZAGHLOUL Square. Children coral for heritage songs performance in downtown square. In collaboration with Said Darewish coral. Guitar & violin performance in all café of SAAD SAGLOUL square and the Corniche. A common project with the National Organization for Urban Harmony plans to light several heritage building in Alexandria. Seminar about “Evaluation of historical gardens in Alexandria city“; in collaboration with Technology & Maritime Academy, Architectural Department. Seminar about future strategic planning for Alexandria city, in collaboration with the Regional Urban Planning Government Department. Seminar about the cinema heritage in Alexandria, in collaboration with BEHNA, one of the pioneer company of film production in the city. Seminar about the World Heritage from Educational vision in collaboration with UNESCO Clubs for Heritage Preservation in Cairo. A seminar about development the decorative designs in traditional crafts industries, in collaboration with UNESCO Clubs for Heritage Preservation in Cairo. Forum about the projects and efforts to conserve and document the Egyptian heritage, in collaboration with the National Organization for Urban Harmony. Forum about the future of Alexandria monuments in collaboration with Archeological Roman & Hellenistic Study Department, Alexandria University. Logo Istituto Italiano di Cultura e Centro Archeologico Italiano – Il Cairo. Logo Society of Egyptian Architects.